Over seven years ago, I tried out for my local swim team. Having been afraid to put my face in the water for so long, I was nervous and intimidated by not being allowed to hold my nose. Somehow, I held my breath, and made the team. The lowest, group, the back of the pack, the kids that somehow made it. I learned that if you simply follow directions, you get promoted into the higher groups. Following directions that coaches give is a simple task, and they actually help you get faster. So I got promoted into the next group, and the group after that, and the group after that. Until five years went by and I was in the second to highest group. However, with higher groups comes older swimmers. And with older swimmers comes cliques, and drama. You might remember at the beginning of my blogging career my frustration about cliques. I struggled a lot. Looking back, I wish I knew some simple tips to help me get through these roller coasters of swimming drama, emotional and physical difficulties, and the want to give up. 1: No matter how much you want to pass the person in front of you, focus on your technique. I know you reeeeally want to be the leader of the group, and be the person that the coaches and other swimmers see as the Big Cheese, but think about this: The more you focus on your technique, the faster you will be. So don’t speed through those drills, work at them until you’ve mastered the stroke. Speed is for races, and practice is not a race. It’s practice, and practice makes perfect. 2. Stretch before practices and races. Stretching can save you from an injury. I wish I stretched as much as I do now back when I was younger. I could have prevented a shoulder injury. 3. Just because the big kids are fast, doesn’t mean they are the coolest people on the planet. 4. We are all swimmers… No matter where we are from. Something that baffled me as a kid was the rivalry between my team and another. I grew up competing in dual meets, and most of the time, there was a sudden and random distaste for the swimmers on the other team. Here’s a bit of advice: Go talk to the other team. If you’re at a home meet, make them feel welcome. You’re all here to swim. You all love this sport. You all have something in common, so finding a topic shouldn’t be that hard. It could be as simple as, “Hey, are you swimming the 100 free too?” or “What’s your favorite stroke?” You’d be surprised at how many friends you make during one swim meet. We’re all fish in the sea, so go make some friends. 5. Get up and cheer. In my team, we always cheered during the final relays. We didn’t want to, but we had to. It wasn’t until I was a little older that I learned the importance of cheering. 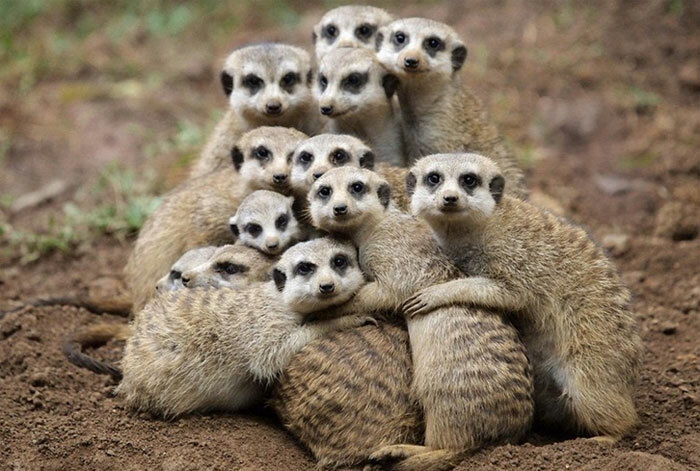 Picture this: You’re stand up to the blocks, and you look to your teammates and they’re all buried in whatever musings they brought to pass the time. (Phone, 3DS, book, patty cake with a friend) Or maybe you’re on your last lap and you feel like crying because you’re trying as hard as you can, and no one is cheering. How does that make you feel? Not very good. So support your teammates by cheering for them. You can even cheer for the new friend you made from the other team (see #4). Coaches and swimmers take note of that, and realize that you have sportsmanship, and as an athlete, sportsmanship is a priority. 6. Love this sport. There is nothing else like it on the planet. 7. Whatever you do, don’t give up. I have known plenty of swimmers that quit swimming because of something like school, friends, or lack of interest. If you don’t want to swim or you don’t like swimming, then I understand. But if you think this sport is too hard, and you’re feeling really discouraged, don’t give up. You’ll be thankful that you didn’t. I’m being totally serious here! If you have an injury, modify your workouts so you can get better. Continue to love to swim. Like I said in #5, you must swim. So, kiddo, now that I’ve told you these little tips, go have fun and swim. Okay, so I know the season ended a while ago, but since it was such an exciting experience, I wanted to tell you all about it! The first meet went pretty well. We swam at a Division 1 college in the 50 meter pool. I had never done something like that, and it was my first time swimming 50 meters instead of yards. It was different, but really exciting. My events were the 50m free, 100m free, 200m IM, and the 100m Breast. This was also my first time swimming the 200 IM EVER in a meet! As it turns out, I didn’t do that bad. After all, I had only been practicing for a week, as it was very early in the season. After that, I swam at another college in my state, and surprised myself AGAIN in the 50m pool. I dropped TEN SECONDS in my 200m IM, and I couldn’t wait to tell my coaches when I saw them next. They were surprised. So much so that they put me in the 200 IM on my own team. In my 100 free, my coaches and I have been trying really hard to drop my time to break 1:04. I am pleased to say that I broke that time with a shocking 1:03.58!! That’s a total of 2:06 seconds! This past week, I’ve been preparing for the next season. Through watching videos of Olympic races, I’ve learned that the race could be in one person’s favor, but another person can come up from behind and win by .01! We can’t give up. We can’t slow down. No matter where we are in that race, we have to keep going. Have you ever had a time when you had to force yourself to keep going? Is that time now? Good day, friends! Welcome back! Now, we’ve had plenty of life experiences to tell all about, but now it’s time to get to the real reason of this blog: Road to Gold. What does it mean? It means this blog is supposedly about my Road to Gold. Of course. Any attempts to get one of those precious medals have failed. I’ve tried once, and it failed due to a head injury. So now that I’ve gotten back on my feet and am all healed, I can continue on the Road. This past season has been rather painful. As I mentioned in a previous post, I hurt my shoulder. 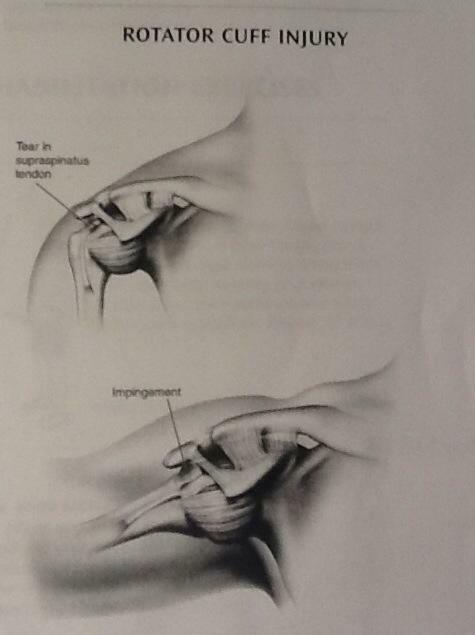 The sport of archery (FF101, my bro, is well involved in it) has messed up the rotator cuff. It really, really hurt. And it limited my swimming, my skiing, my archery, my tennis, and even my sleep. The consequence was my best stroke stripped from me for the whole season. Yes, I could not swim Butterfly Stroke at all. If you’ve seen the Butterfly stroke in action, you’d noticed the shoulders. How the work so hard to get those arms up and around with such force. 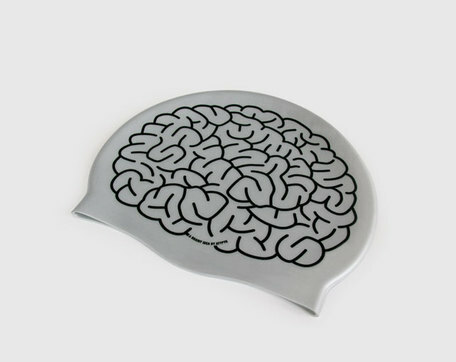 Since Backstroke is also strenuous on the shoulders, I was stuck with my least favorite stroke of them all: Breastroke. I surprisingly did alright. I definitely improved, an hour and forty-five minutes of freestyle and Breastroke, three times a week must have paid off! It was a really interesting season. I couldn’t swim as hard as usual, so I wasn’t placed in the big championships. However, I was fast enough to win the smaller championships. 🙂 I got first in all of my events, and getting first and second in the relays. Now the season is over. And a new challenge awaits. Remember last summer? The state championships and the concussion? 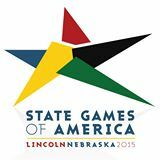 Well, THIS year, each state gets a chance to qualify for the State Games of America 2015 in Nebraska. How to qualify is simple: Get first, second, or third place in your event. So that’s my goal for this year: Qualify for the SGA. It’s going to be difficult, but I have friends that know I can do it. Ever think you’re going to fail? Did you feel encouraged to know that people had your back the whole time? Konnichiwa, guys! I’m back with some AWESOME NEWS!!! I think my Olympic dream might actually come true. 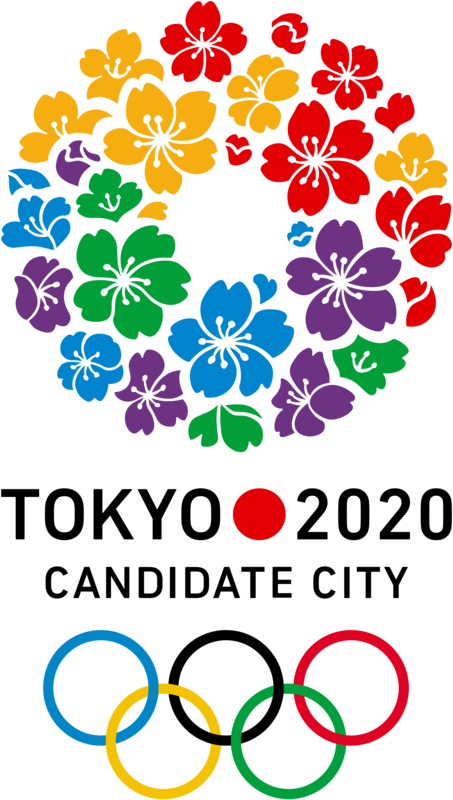 The International Olympic Committee (IOC) announced on Saturday night at 5:00 in Buenos Aries that the 2020 Summer Olympic Games will be hosted in Tokyo. 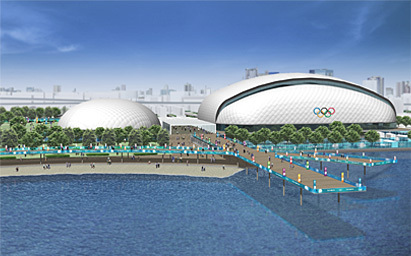 THE IOC ANNOUNCES TOKYO, JAPAN TO HOST THE 2020 OLYMPIC GAMES! It was very strange and awesome all at the same time. Yeah, Luddy is starting archery. I thought I’d also give it a shot. 🙂 Maybe Luddy and I could compete in States together! MAYBE WE COULD BOTH BE IN THE OLYMPICS TOGETHER? 😀 I, in swimming and Luddy in archery! I know… Another thing on my large plate of activities and sports. But since I had to stop karate last year, I have a little bit of time before the swim season starts up again! 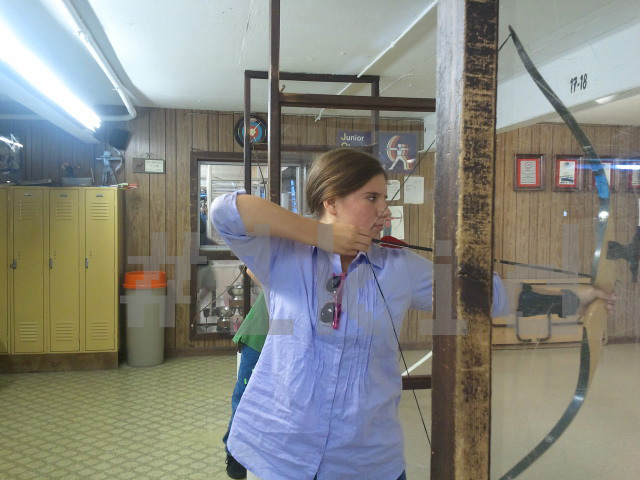 Lud, Emma, my mom, and I went to the local range for a lesson in archery. So who’s excited for the Olympics? Do you like archery? Hello, there! Welcome to Road2Gold!!! Before I even tell you how I swam, I will tell you how much I was looking forward to this event. Then, on 28 days left, I hit my head. Anyway, back to present day. I woke up at 6:15ish and the first thing I said before I got out of bed was “1.” The day had finally come and I was not prepared… well, kinda. We got there in time to warm up, stretch, find out what event numbers we were, get a T-shirt, all that fun stuff. Then the meet started. It was fun, yes. But unfortunately, I had a major disadvantage: I couldn’t dive. I wasn’t fully recovered and was still wearing earplugs to block the sound of the buzzer. I was starting in the water and I had to swim about 4 strokes to catch up to where they took there 1st. No, I didn’t win. But I wasn’t expecting to. I knew this was just for experience and I shouldn’t beat myself up about it. It’s okay! Have you ever had a disadvantage? Hello, friends! Welcome back to Road2Gold! I know I said that I’d post a Blogiversary post, but I’ve been SUPER busy and it completely slipped from my mind… sorry. This past week we went to the Fitter And Faster Swim Tour. We took a three hour drive all the way to Beverly, Massachusetts. It was a really cool experience! The first thin g we did was we got to meet two Olympic medalists, Peter Vanderkaay and Emily Silver. They helped us do some drills and taught us to do some pretty cool stuff. Some of the drills we learned were the “Bow and Arrow Drill”, the “Six-Kick-Switch Plus Three”, and “Sculling”. I struggled a lot in Sculling because I had never done it and I couldn’t figure out how to get across the pool when moving my arms in such a strange way. Eventually, Emily showed us how to do it and I finally got it. When we got out of the pool, we learned about goal setting from the Olympians. Emily Silver also taught us some yoga stretches. I felt like Jello afterward. We all get on the blocks and do some quick final stretches or a last second goggle push. We then played Sharks and Minnows. It was very difficult with one hundred-fifty kids all trying to swim to the other side. Just when you think you can sneak by the “Shark”, along comes Vanderkaay. And then you’re a Shark. It was a really fun day! I even met some new friends from my lane. After I had gone back to the hotel and I had eaten dinner in Salem, I was back in the pool at the hotel! Of course, I couldn’t do as many things in a small pool, but I loved the water! I have some news! 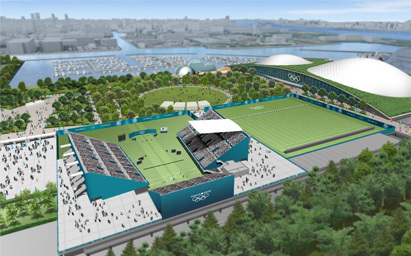 You many have already heard this but… the 2020 Olympics might be hosted in these three cities: Istanbul, Turkey; Madrid, Spain; and Tokyo, Japan. My goal is to compete in the 2020 Olympics and if they’re in Japan, I am going to throw a party. This past week was the beginning of the Summer 2013 Swim Season. And this season, I’m going for my first gold. 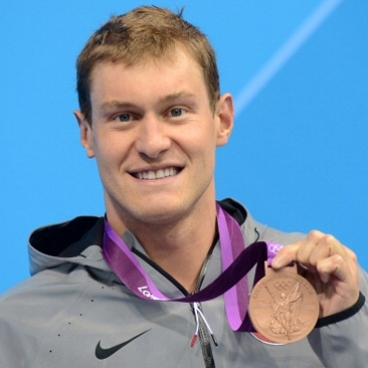 Being a swimmer, my favorite part of the Olympics is swimming. But my coaches have said that I’m not allowed to try what the Olympians are doing. BOOO! The Olympians are a whole lot more flexible than I am and have been training hard for many years. But I sure am tempted…. But it’s also a time of hanging with your friends and teammates one last time…while you wait FOREVER to swim. I did a 4x 50 Medley Relay, a 100 IM, 50 Backstroke, and a 50 Butterfly. 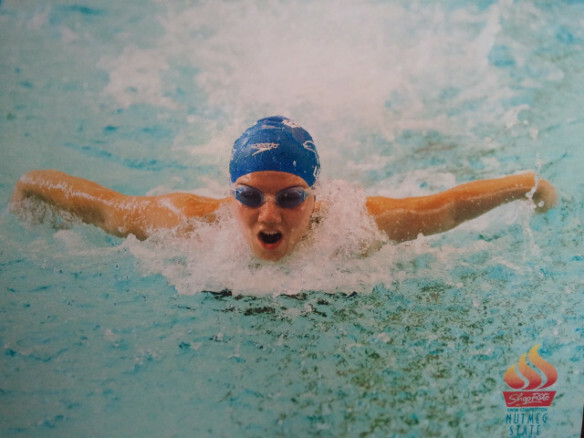 I really like swimming! Hopefully, I can go to the olympics and possibly medal. They only want the best in team USA so I’m going to have to work hard.